Showing 4 articles from October 23, 2015. After day-long negotiations on Thursday, Oct. 22, Novant Health, Inc., has agreed to several conditions that are designed to help ease the financial burden associated with the loss of Franklin Medical Center. Franklin County's hospital was shut down earlier this month by Novant and the economic effects of the closing have been rippling across the county ever since. 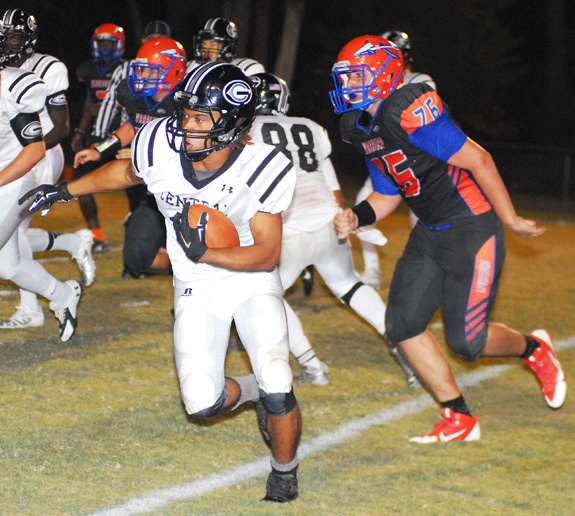 LOUISBURG -- For a brief instant, the Louisburg Warriors appeared on the verge of a comeback during Friday's Tar-Roanoke Athletic Conference home showdown versus league leader Granville Central. ROANOKE RAPIDS -- Franklinton's key swing game with Roanoke Rapids went back-and-forth on Friday as the clubs jousted for important positioning in the Northern Carolina Conference football standings. The latest dash of high-scoring heroics came when it mattered the most during a matchup with South Granville on Friday -- with first place at stake in the Northern Carolina Conference.